I’m Stephanie! I help beauty business owners to grow their dream job through smart marketing ideas. From social media to branding, I can’t wait to teach you everything I know to make your salon a smashing success! Not sure exactly how to find new clients quickly, but you’ve got an inkling you’re missing something? 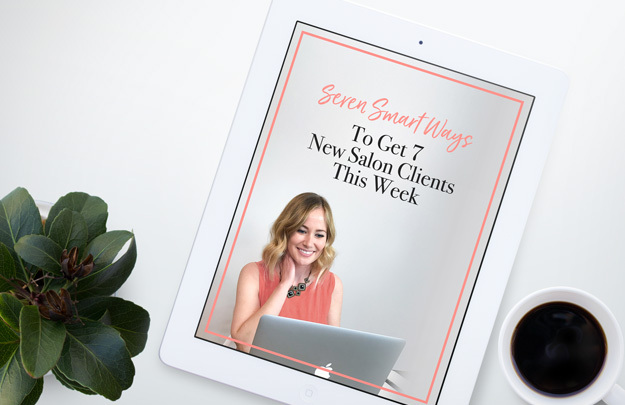 Grab my newest eBook where I show you 7 easy things you can do this week to attract business to your salon! Are you ready to pump up your social media with paid advertising? This guide shows you step by step how to set up a profitable Facebook ads campaign for your salon services, without spending a ton of money.